At Langedyk Chiropractic, we’ve been helping our valued patients achieve optimal health and well-being since 1994 with our chiropractic treatments. When our chiropractor in Kelowna begins with a new patient, the appointment is always started with comprehensive assessments to identify your current health condition and to identify areas that can be improved through our customized treatment plans. Langedyk Chiropractic offers services to alleviate maternity-related issues such as back pain and neck problems due to breast feeding, back pain, as well as services to reduce pain in colicky babies, or to help them sleep better. When it comes to aches and pains of the body, no two people experience their discomfort exactly the same way. Chiropractic services, therefore, should be tailored to each individual patient’s specific needs. And it all starts with the right assessment. At Langedyk Chiropractic, our chiropractor provides Kelowna area residents with a thorough movement assessment to pinpoint problem areas and prescribe the appropriate chiropractic adjustment to address it. A thorough assessment is available to all patients, whether they are visiting Langedyk Chiropractic for chronic pain management or adjustments that help recent injuries. Book an appointment for your chiropractic movement assessment today. 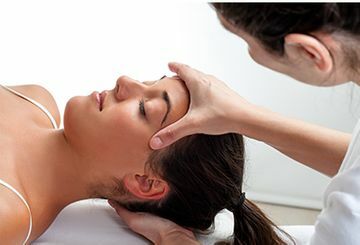 Chiropractic services are made up of a variety of different techniques and adjustments. At Langedyk Chiropractic, we create a customized treatment plan after your thorough assessment with our clinic, incorporating different adjustments to address specific problem areas. From direct thrust techniques to cervical spine manipulation and myofascial release, our chiropractor in Kelowna has experience with a wide range of methods to address chronic pain, injuries, and more. If you would like to enquire further about our services, or you would like to book an appointment, please don’t hesitate to give Langedyk Chiropractic a call. At Langedyk Chiropractic, we treat ICBC, personal injuries and WorkSafe BC patients. If you would like to enquire further about our services, or you would like to book an appointment, please don’t hesitate to give us a call.